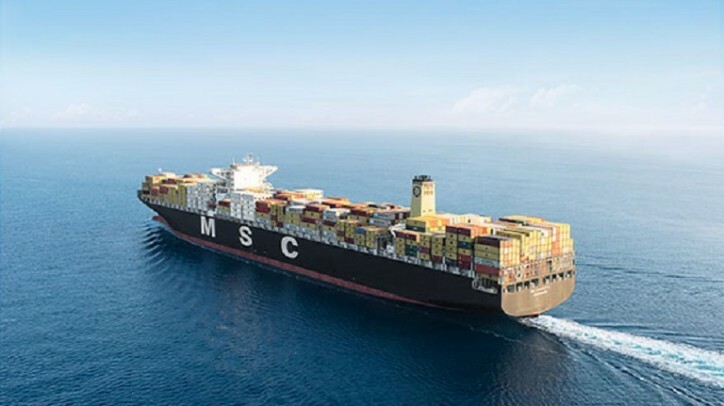 MSC is upgrading its Australia Express service between Europe / Indian Ocean and Australia. 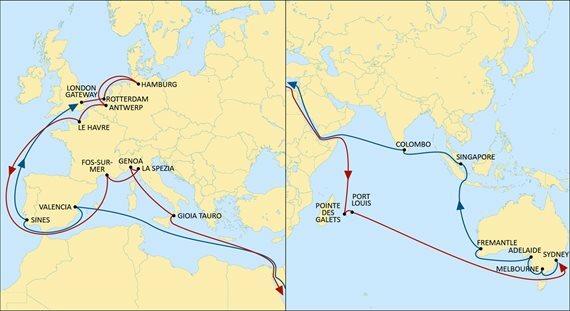 Starting during the month of September 2019, a new partnership will be implemented between MSC and CMA CGM to operate a joint service linking the North West Continent and the Mediterranean to the Indian Ocean and Australia on the southbound leg and Australia to Southeast Asia, India Subcontinent and Europe on the northbound leg. The Australia Express service will operate with a fleet of 14 ships of 9500 TEU capacity, of which 9 will be provided by MSC. The rotation will be: London Gateway – Rotterdam −Hamburg −Antwerp − Le Havre – Fos-sur-mer −La Spezia – Genoa − Gioia Tauro − Pointe des Galets – Port Louis – Sydney – Melbourne – Adelaide – Fremantle −Singapore – Colombo – Valencia − Sines − London Gateway. The Australia Express will continue to provide a premium direct service between Europe and Australia as well as fast transit times from Australia and South India to Europe.